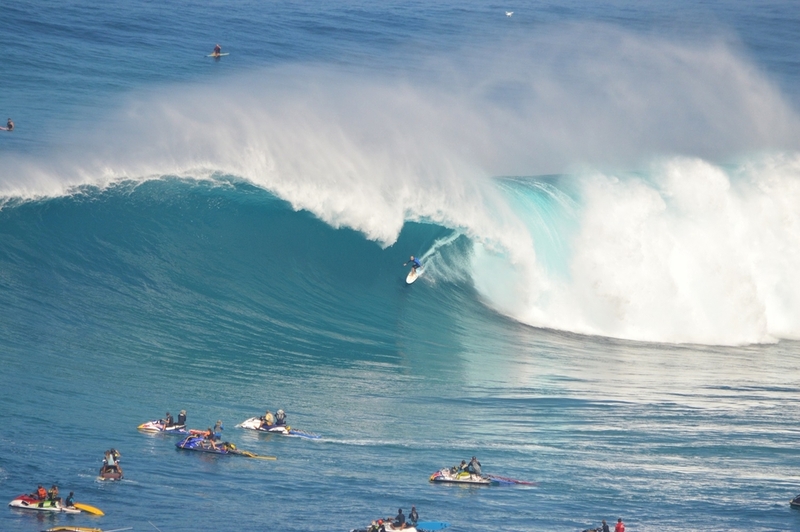 When the Hawaiian buoys flash the right numbers, rest assured those leading the paddle revolution are out to change the game, and this swell would never be any different. 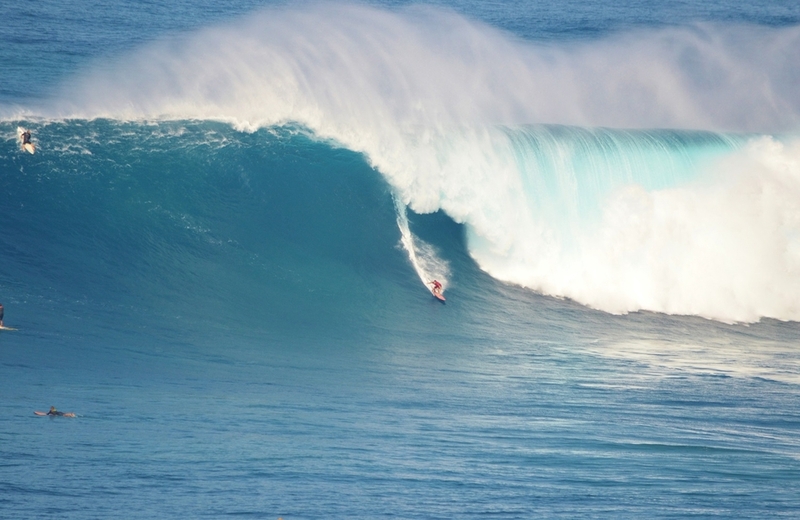 During this El Nino Winter, the race to paddle the biggest bomb is most definitely on and a new face just stepped onto the track. 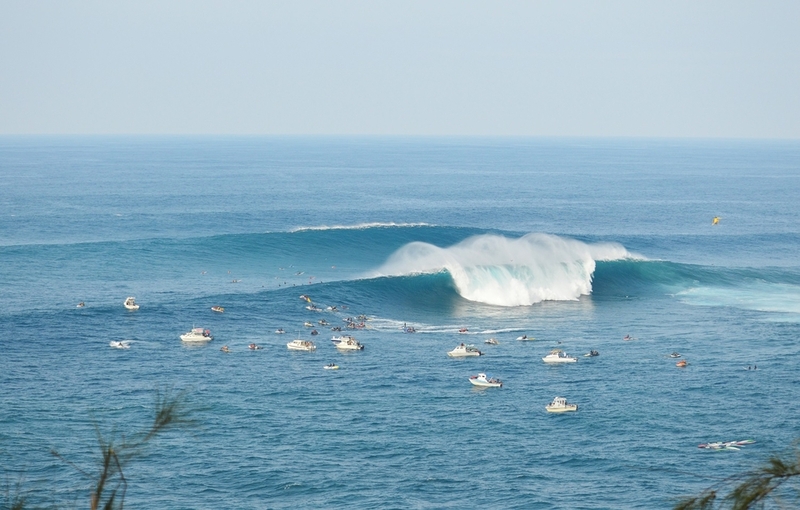 On big days at Jaws, there’s always a sneaker set to keep the crowds on their toes. 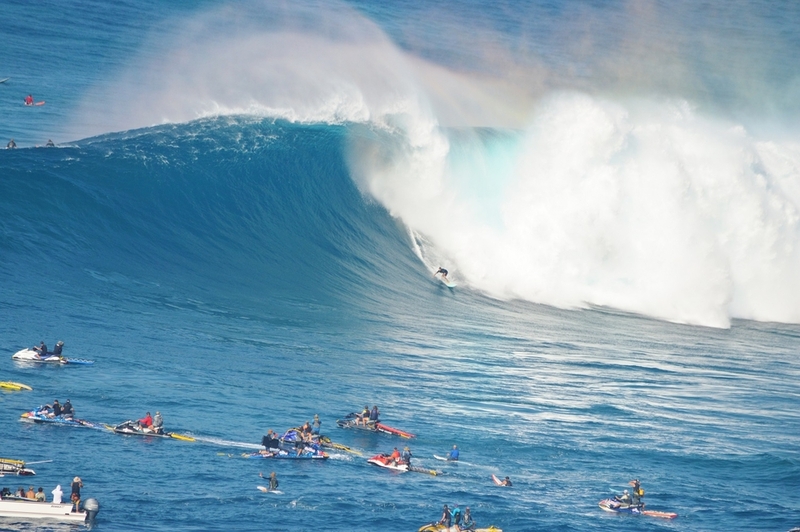 Aaron Gold from Haleiwa paddled into the biggest wave of the day on the biggest Jaws swell of the season so far –widely regarded as the biggest paddle wave at Peahi, and biggest paddle wave ever is even being whispered. But Aaron is well aware that particular race has no finish. 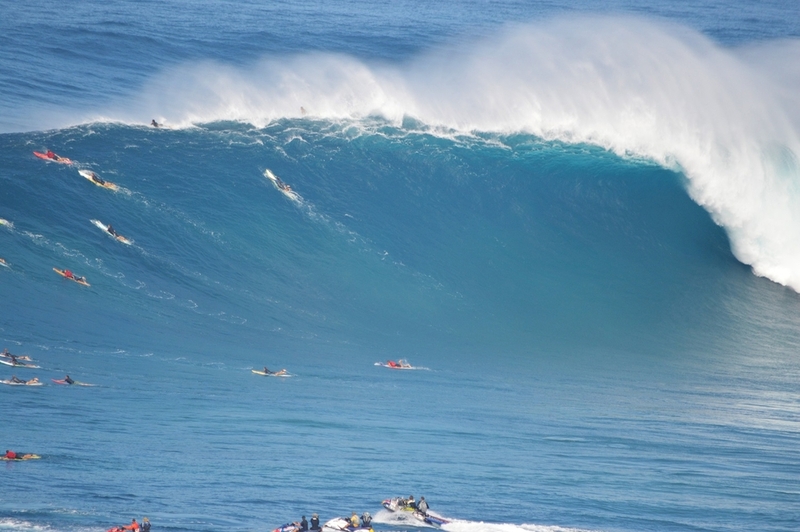 Aaron Gold from Oahu snagged the wave of the day –potentially the biggest wave ever paddled at Jaws. Friday marked the biggest swell of this El Nino winter so far, but with more big wave mayhem forecast for tomorrow there’s more juice in it yet. 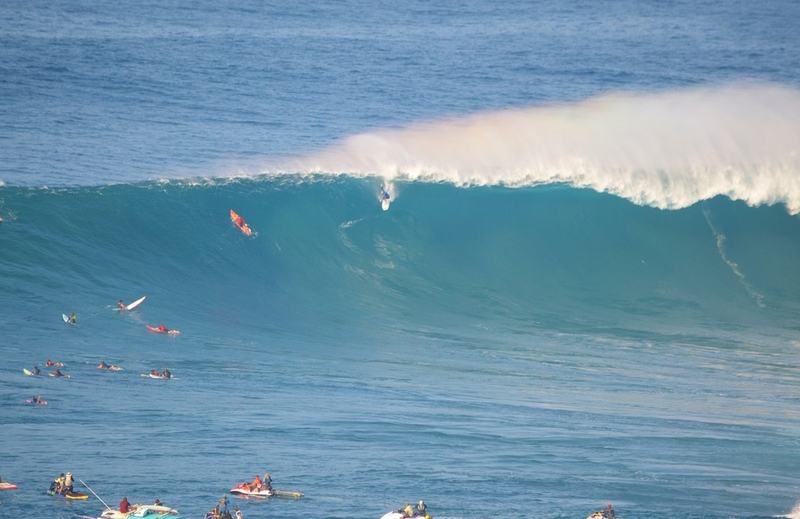 Shane Dorian threads a Peahi tube.